Thank you very much for access to us. 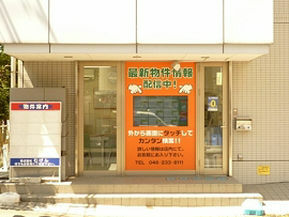 Mugen Agency provides total consulting services as a general real estate company in Kanagawa. We have concentrated our efforts especially in dealing real estate, including planning, supply, leasing mediation and property management. Our first priority is customer satisfaction. The customer’s happy face and ARIGATO are our joy and goal. we are looking forward to see you. Relocation to a new country is always adventure. Moving to Kanagawa could be a mixture of excitement for meeting new cultures, new environments and new experiences and anxiety about facing accommodation processes. The key to a pleasant relocation is choosing the right local partner and having some useful tips at the beginning. Mugen Agency offers you a variety of services and networks that makes your relocation smooth and comfortable with apt assistance. First of all, you have to stop by NAF Atsugi Housing Office or Camp Zama Family Housing Office. You might needs double check all your documents in order to move in off base housinsg.